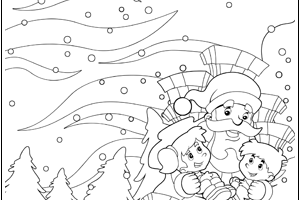 Christmas Colouring Pages – FREE DOWNLOADABLES! Your kids will love getting into the Christmas spirit with these Christmas colouring pages. 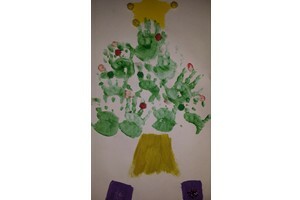 Build meaningful traditions this Xmas, with cheap and easy activities for babies, toddlers and big kids. 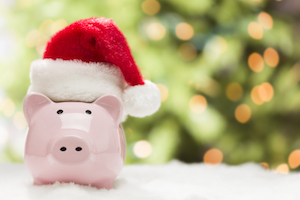 Christmas shopping already getting you down? 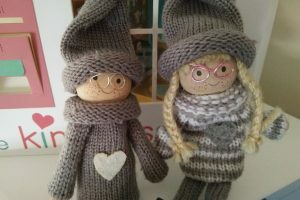 Get back on track with funny hints for cheap Christmas presents. 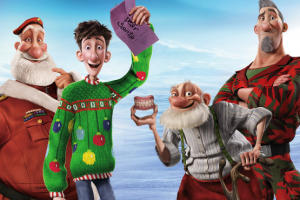 Thank You Letter to Santa – Christmas With Gratitude! Printable: Encourage your kids to show gratitude with this thank you letter to Santa that your child can complete and send. 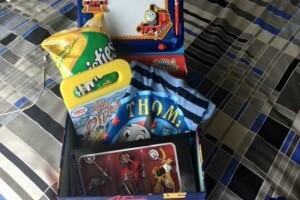 Q&A: For people that do the Christmas eve box for their kids what are some things you put in it apart from pj’s and a Dvd? 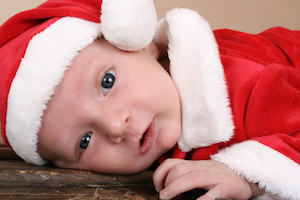 Q&A: I’m looking for pages on facebook or other suggestions for Christmas outfits for boys. I was thinking overalls or vest/shorts? 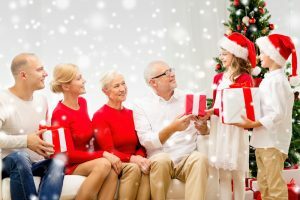 Community question: I’m wondering how many Christmas presents everyone buys their kids – is it always the same or does the number differ? 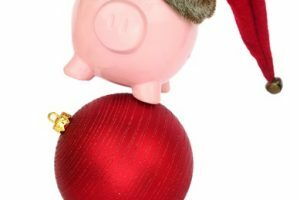 It’s easy for kids to focus on what Santa is going to leave them under the tree or in their stocking, so how do you teach them that this is the season of giving rather than receiving? 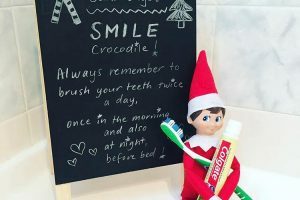 We have some great tips to help your kids change their focus and realise that there is so much more to this time of year. 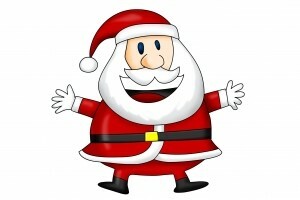 A list of the best Christmas apps and websites that the kids will love. Actually, who are we kidding – even the adults will love these! 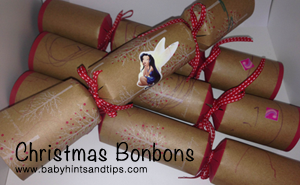 Christmas Craft: DIY Christmas Bon Bons or Christmas crackers are one of the highlights of Christmas Day. 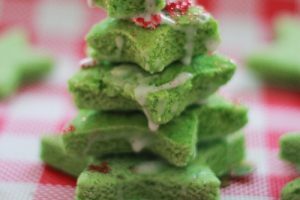 Homemade Christmas Bon Bons are even more special. 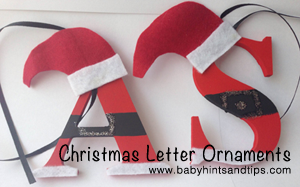 These letter ornaments are super cute and a great personalised present that kids can make themselves. 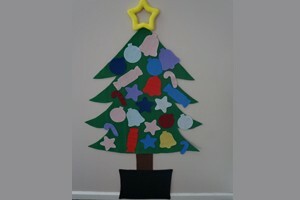 This handmade decoration is a fantastic option if you and the kids need to make a large number of presents for daycare teachers or classmates. 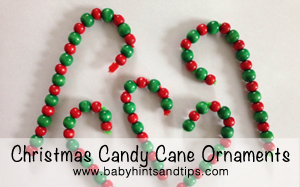 They’re simple and look great (and it’s a great fine motor activity too!). These homemade Christmas tree ornaments are a great, easy craft activity to do with the kids, and make cute presents as well. You can use whatever you like to decorate them. 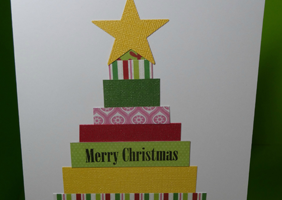 This Christmas card is easy for the adult to prepare and for a young child to make. It is an educational activity too, as children are challenged to order the strips of paper from longest to shortest. 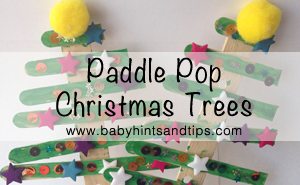 Best way to stop your toddler from climbing your tree and breaking your ornaments? Get them to help you make one they can play with! 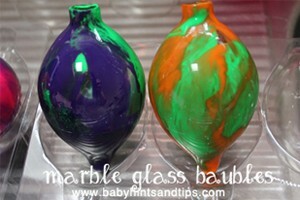 This is a great craft for kids of any age to do, even babies! 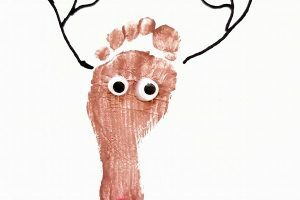 It makes a great present as well as a keepsake of their tiny feet. 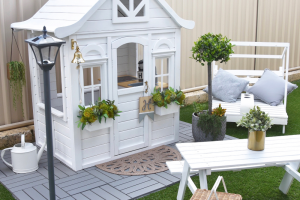 This is a craft the whole family can be involved in – and you can make it as big as you want! 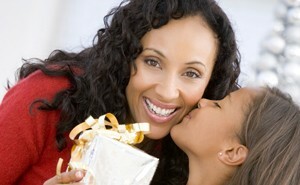 Q&A: What Christmas baking treats do you cook with your kids? How do you get them to help?